Home / Reviews / Books / Davids Easter Friend from I See Me! Davids Easter Friend from I See Me! Do you buy gifts for Easter? We always like to get a basket and then include a small gift usually a book, or stuffed bunny or something similar. This year I was so fortunate to get to review this great book from I See Me! that included the book and a snuggly bunny stuffed toy to match. I love this personalized storybook. It is just so great to have your child’s name mentioned again and again as they hear all of the ways that the Snuggle Bunny loves them. The bunny gives hugs in the morning time, and even has snuggle time in the evening. 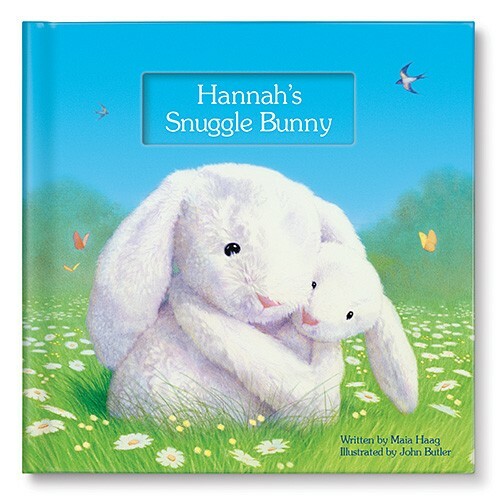 Throughout the book the Snuggle Bunny counts ten special ways to show affection for them, each time they mention their name. When you order this book from I See Me! you have the option of uploading a favorite picture of your child to have it appear on the dedication page, they also include their full name on that page. It is so great to see your child’s reaction when they see their picture and name in print inside of a book. They just love it. 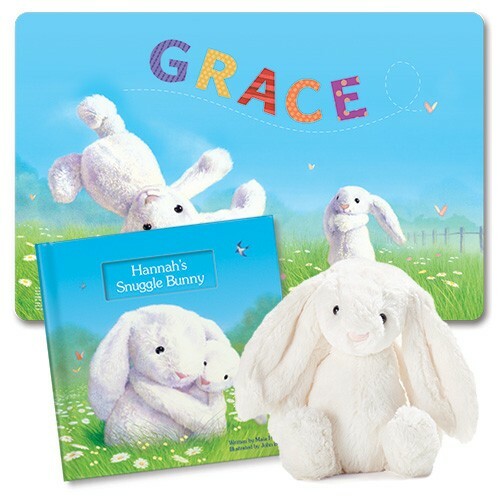 You can get this book about the snuggle bunny with or without a companion bunny wich is 12 inches tall and has the great floppy ears and super soft fur that would be perfect for any age child. I think kids love bunnies especially they just are so cute and cuddly. This book is 20 pages long and written by award-winning author Maia Haag, and illustrated by John Butler. The bunny you can include really brings this story to life as the illustrations look identical to the bunny in real life. If you include a gift with your Easter baskets this is a great book, you can purchase one for your kids at I See Me! If you order before March 14 your order will arrive before Easter Sunday! Both of the bunny rabbit items in this line would be ideal gift ideas for my little sister. That’s her favorite kind of animal! Thanks for the post!